Another month down and a whole new month of stats to share for the best safelists and viral list builders out there today. The big news from last month was the re-release of List Surfing. This site definitely got a lot of attention and with good reason. List Surfing does an amazing job of blending the best elements of a traffic exchange with a safelist to create a unique advertising environment. Best of all List Surfing has brought social marketing into the safelist arena which is something this industry has been very much lacking. Not too much else to report. I did test a few older safelists that I had joined years ago but quit because they weren’t producing good results. The results from last month weren’t good enough to put them in the top 15 so I won’t bother mentioning them. Needless to say if you have any good safelists or viral list builders that you recommend which you don’t think I am member of please send them my way. Here’s how it works. 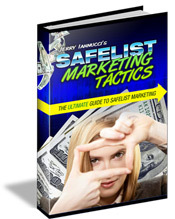 I promote a series of squeeze pages for my ebook Safelist Marketing Tactics on 30-40 different safelists and viral list builders. I use a tracking service to tell me how many hits I receive from each site as well as how many new subscribers I received. 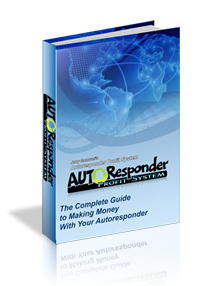 I do have upgraded memberships on most of these sites which often allow me to send my ads to more members and more often. I also spend time every day clicking emails for credits which allow me to send my ads to the maximum number of people as often as possible. Your results may vary. Not a bad month. Pretty cool to see an old school safelist like AdsolutionLine topping the list. Makes me wish I earned commissions there but it’s a totally free safelist. So if you’re not a member, that’s definitely one you will want to join. Everything else looks about right. A nice mix of safelists and viral list builders. It’s not too hard to see from looking at this list which are the best sites to be advertising on this month. I should mention that List Surfing is a little bit lower on the list than I would have expected. That’s because the mailer credits are earned by surfing in the traffic exchange side of the site. Unfortunately I haven’t had enough time to earn enough credits to reach the maximum number of members for every mailing. That makes it a little harder to compare to the other sites. I will say that the branding and the social aspect of List Surfing puts it a little bit ahead of the competition but that is something which is kinda hard to measure with these kinds of stats. That’s it for this month. Don’t forget that these are my own personal stats based on my own efforts. Your results may differ from mine. These stats are provided to give you a starting point for new safelists and viral list builders to try. The only way to determine which sites work best for you is to track your own stats. You can get the same link tracker that I use for free from TE Toolbox.